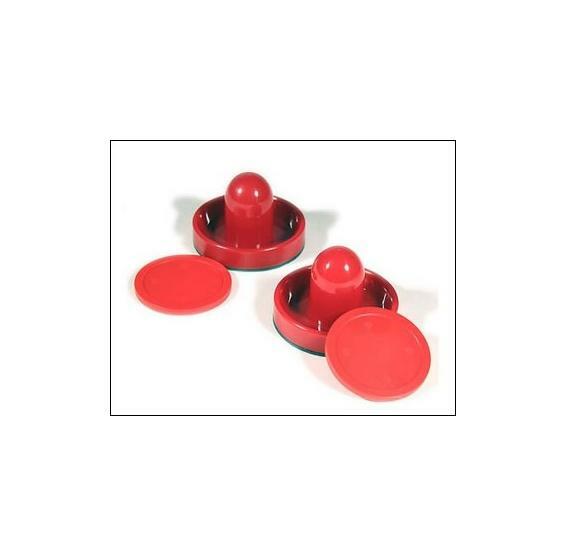 Set of red Strikers and Pucks for Air Hockey Tables. Includes 2 pucks and 2 strikers. FREE SHIPPING! Nothing makes your air powered hockey table play better than new pucks and strikers. These puck and striker sets are constructed from an exclusive formulation of ABS materials designed to withstand hours of vigorous table play without chipping or cracking. 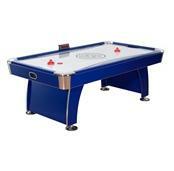 The pre-attached striker felt bottom provides fast and easy gliding action while protecting the table top surface at the same time. Ships UPS.